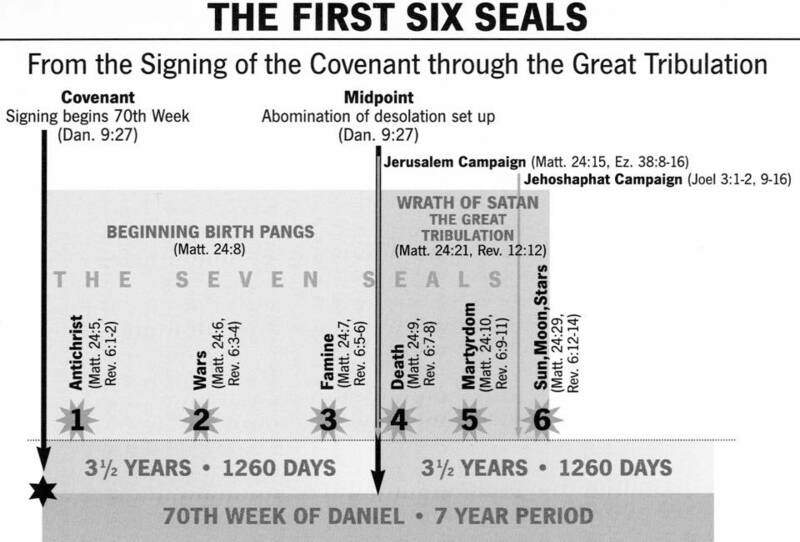 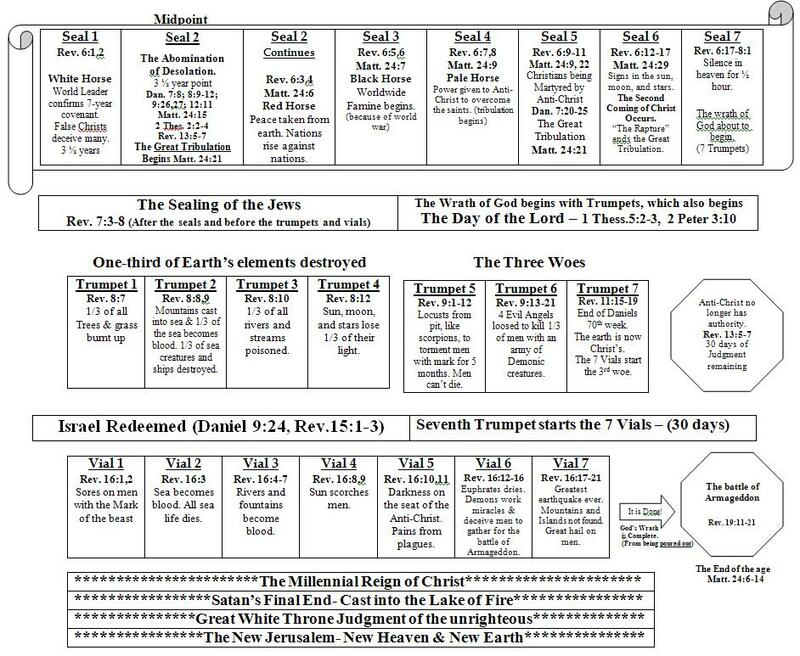 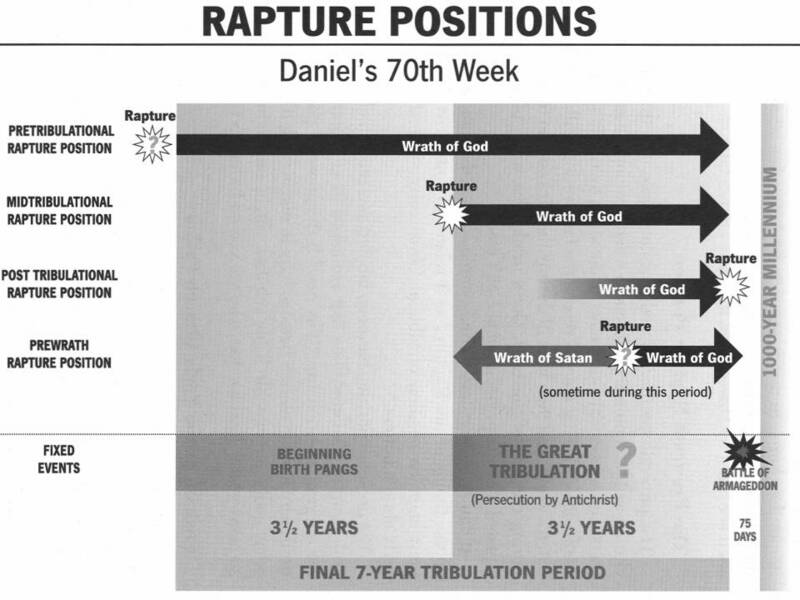 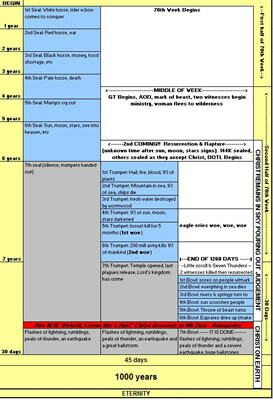 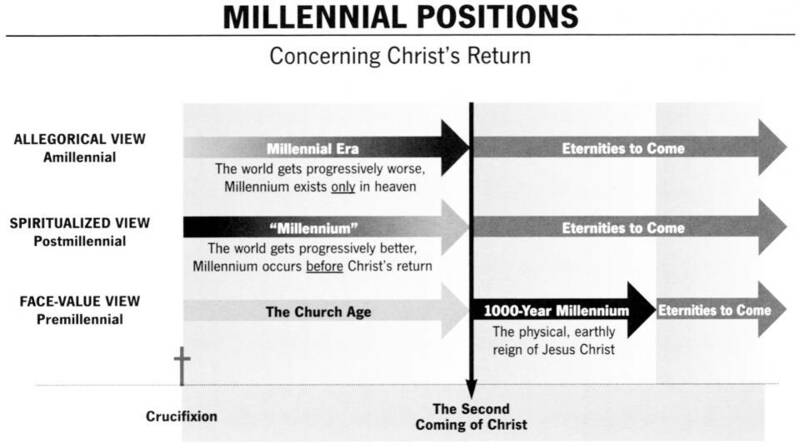 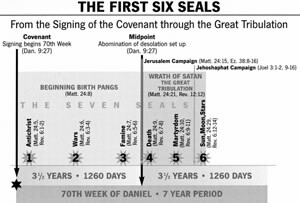 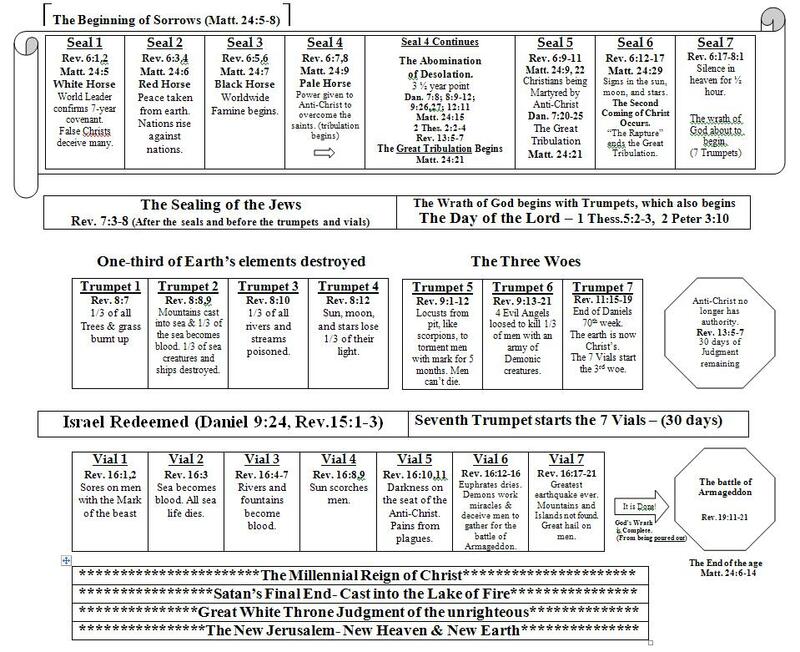 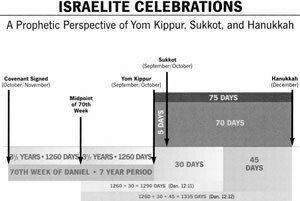 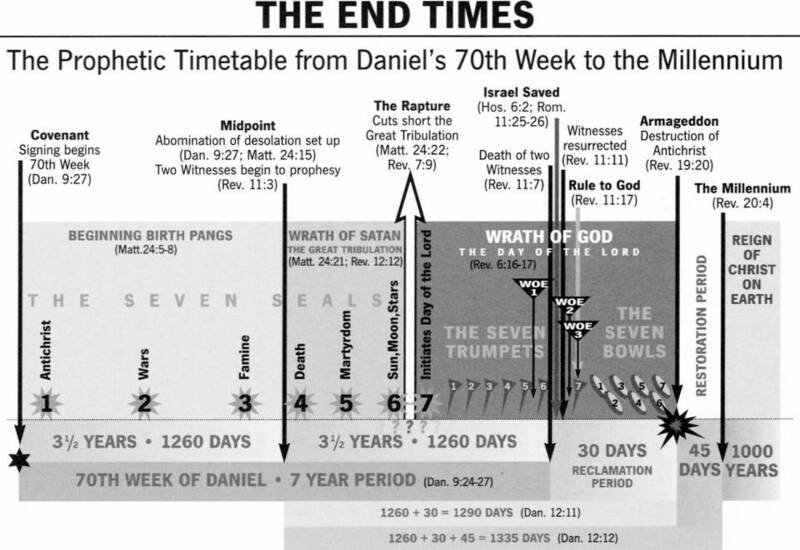 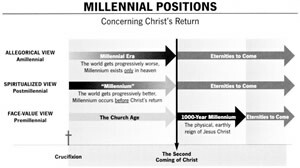 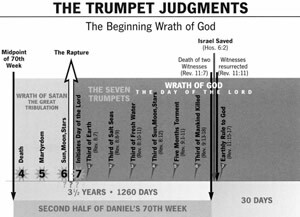 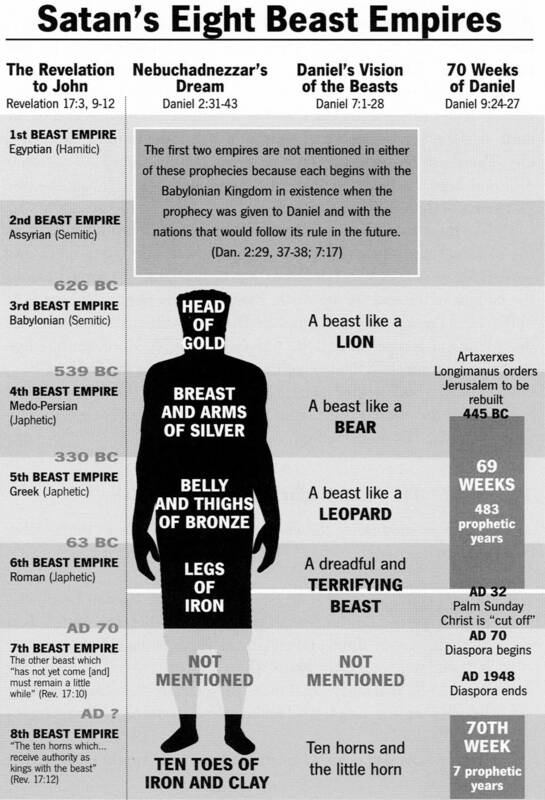 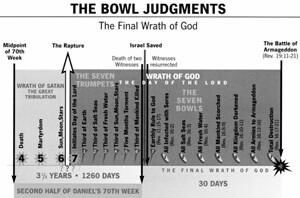 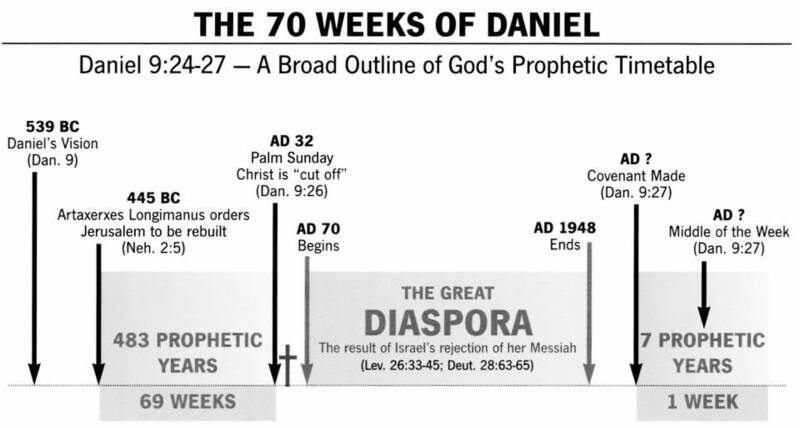 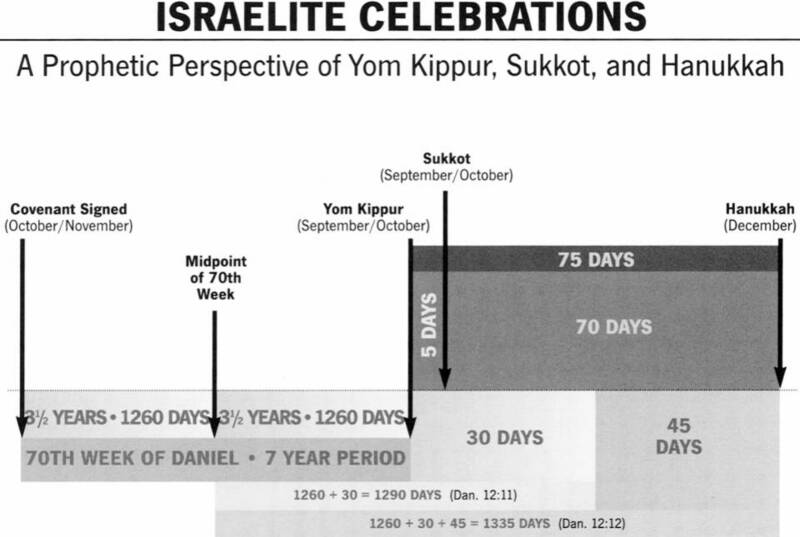 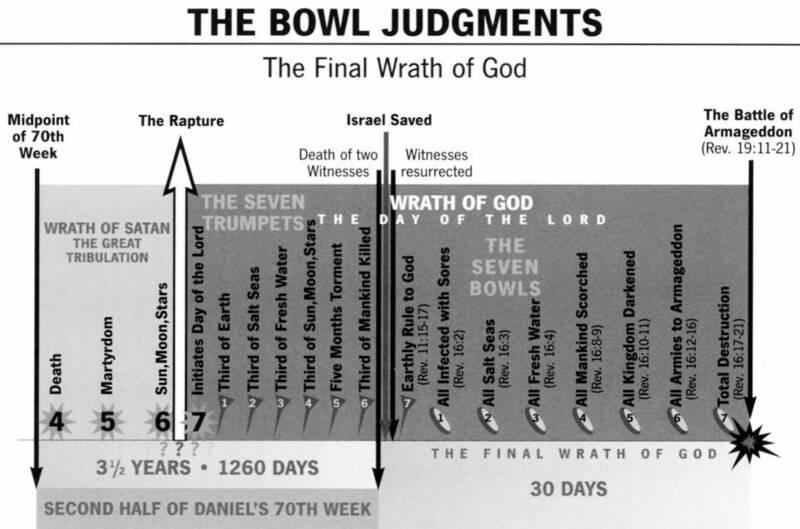 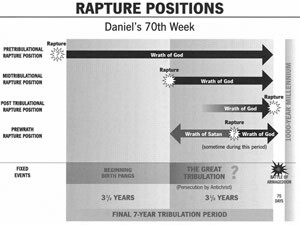 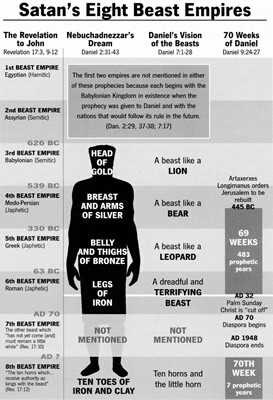 Below are several Charts and Graphics that show the different rapture positions and will help you to understand the Pre-Wrath Rapture better. 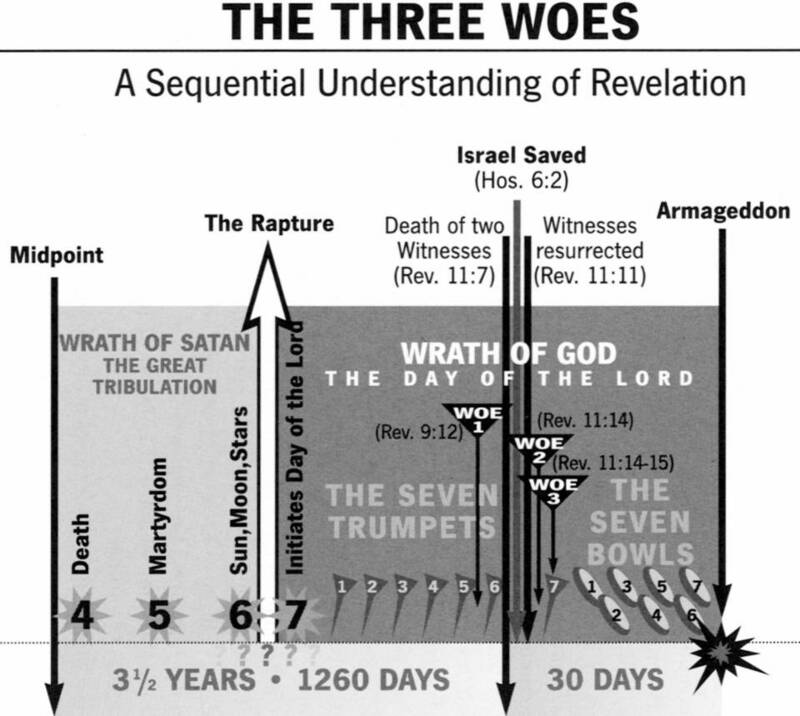 Some are from the Prewrath book "The Sign" and a few are from the Google Prewrath Group. 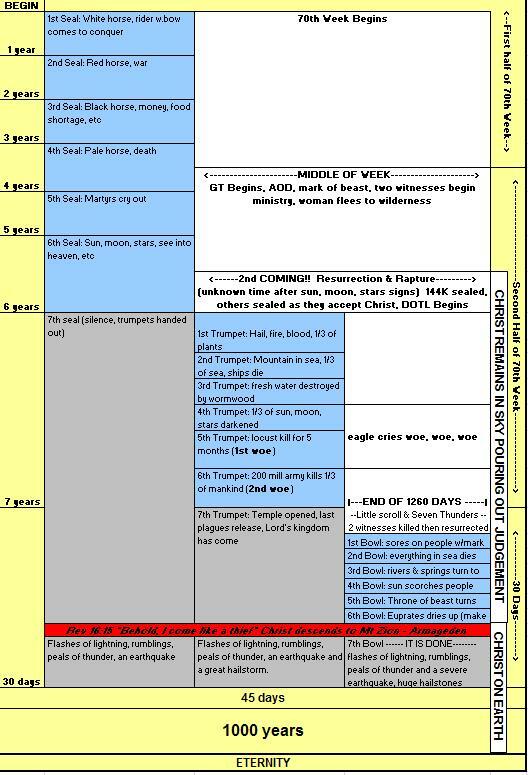 You can view larger versions of each by clicking on the small pics. 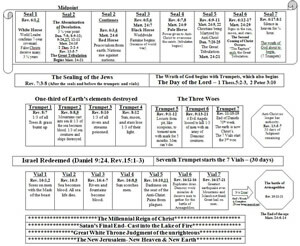 (Some of your web browsers may not open the full size pics to their "full" size. 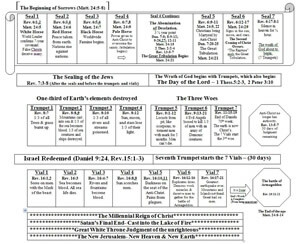 If you see a "magnifying glass" when you move your mouse cursor over the full size pics, click and the picture will be displayed full size in your browser. 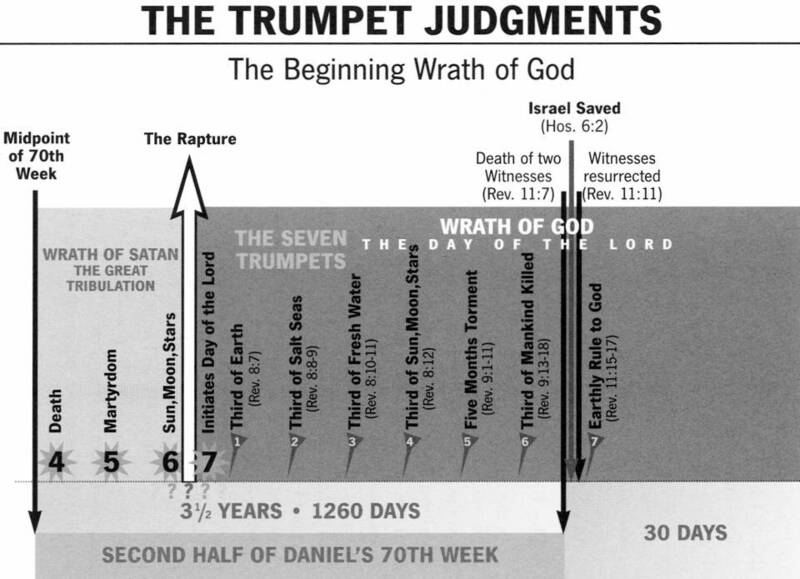 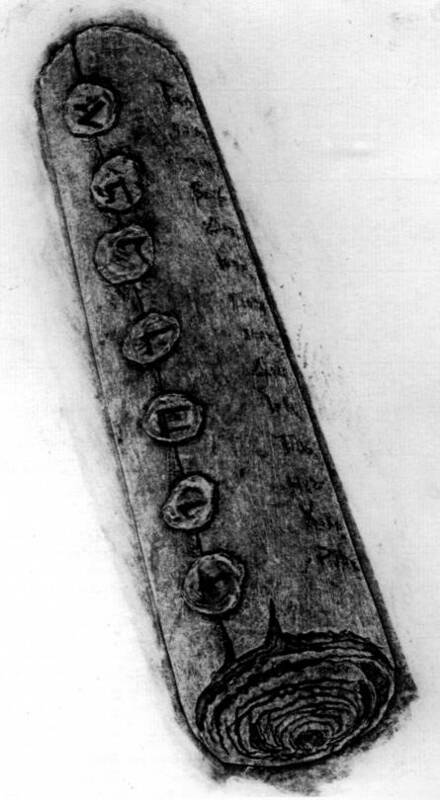 This will improve the quality of the charts). 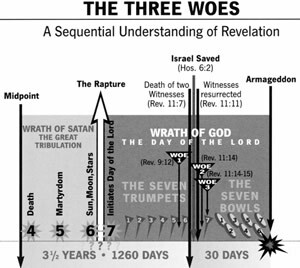 Charts from The Google Prewrath Group. 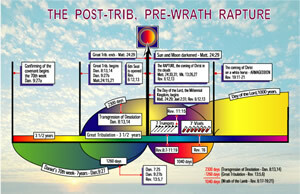 The Lord led me twice to books on the Pre Wrath rapture. 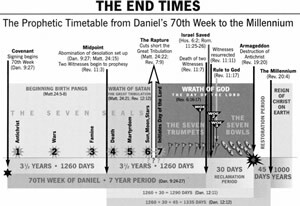 Man lies but God does not lie so I believe God. 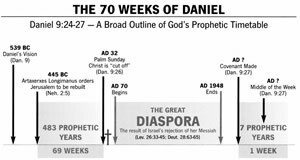 Great work, fight the deception, we are in the last days.